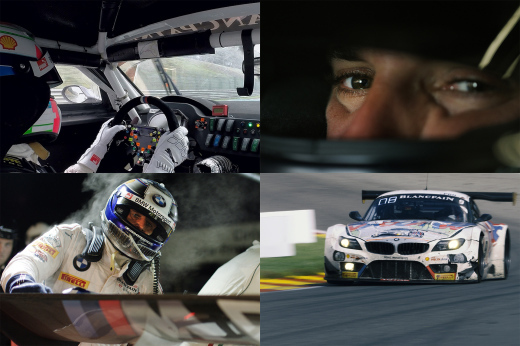 The final jewel in the 2013 crown of endurance racing kicks off today: the Spa 24 Hours, the second oldest round-the-clock race after Le Mans. It’s an all GT3 affair for 2013, with an impressive 66 cars taking part – and it would seem there are 66 potential candidates for victory! The Belgian WRT Audi squad have turned up with an immense effort: they’ve fielded a quartet of R8 LMS Ultras, and some incredible drivers as well: Le Mans winners Stéphane Ortelli and André Lotterer, DTM star Mattias Ekström and our own Edward Sandström. This video takes us through the team’s qualifying efforts. Audi are struggling for pace after some last minute rule changes, so haven’t been particularly impressive on one-lap pace. But this is a team who know how to play the long game. The Beachdeen Aston Martin Vantage – a Pro-Am car no less – has taken pole in the top 20 shoot-out, with the top 29 cars in qualifying covered by less than two seconds. The top 50 cars were covered by just three seconds. Around a lap that take 2m20s. Imagine watching 50 cars crossing the line in the space of three seconds.